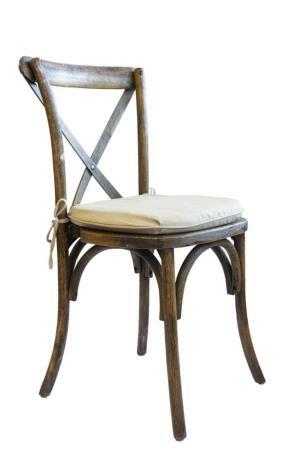 The Crossback Vineyard Chair or X-Back Chair is a perfect southern style chair for your event. Sometimes called the Farm or Pilgrim chair, this chair is extremely versatile and can be used in both rustic/farm and formal settings. Cushion is rented separately and is a natural/oatmeal color.